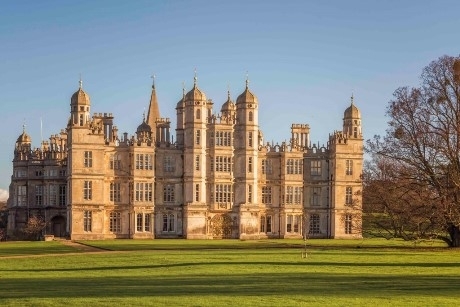 The Elizabethan property, Burghley House, in Lincolnshire is gearing up to celebrate the 500th anniversary of the birth of its founder with a programme of events. To mark the 500th anniversary of the birth of its founder William Cecil in 2020, Burghley House is planning a bumper season for 2019 which will include what is said to be the world’s largest gathering of Rolls Royces and a summer concert by one of the UK’s top selling R&B singer-songwriters, Billy Ocean. The attraction will again host its popular annual events from picturesque outdoor cinema showings to food markets and new contemporary sculpture in a historic garden setting. The House and Gardens re-open on 16th March 2019, with the year-long exhibition, Treasures of the East, bringing to life objects used and obtained by Burghley’s two great collecting Earls in the 17th and 18th centuries. Spring will also see the annual opening of the normally closed South Gardens (16th March – 5th April), with seasonal displays of Narcissi and spring bulbs, while the Burghley Easter Egg Treasure Hunt returns on the 21st April. Other 2019 highlights will be a summer concert by Billy Ocean (8th June) when the parkland will echo to the sounds of Caribbean Queen, while special guest Heather Small makes an appearance too. The Rolls Royce Enthusiasts Club Annual Rally (21st - 23rd June) will present stands, an auction of cars and automobilia, as well as class judging and a parade of prize-winning cars. Other events will include: Battle Proms Concert (20th July), the Burghley Film Festival 2019 (24th - 28th July), Burghley Fine Food Markets (6th - 7th April; 24th – 26th Aug; 28th November - 1st December), Burghley at Twilight (2nd - 5th October), and Burghley Christmas Fair with the Angel Fair (28th November - 1st December). Booking is essential for groups and GTOs can call 01780 752451 or enquire using the online group booking form for more details about visiting. For more information, visit www.burghley.co.uk.